Let us show you how to reach America's finest. The Commercial Sponsorship and Advertising team can immerse your brand within the U.S. Army Hawaii market and help you secure a measurable return on investment. Reach a network of over 90,000 Soldiers, Family Members, Civilians and Retirees. Join our ranks and directly support exceptional programs for military members and their families. Family and Morale, Welfare and Recreation (Family and MWR) enhances the quality of life, supports readiness and promotes the well-being of Soldiers, Families, Retirees and Civilians who have made personal sacrifices to protect our country and preserve our freedom. Family and MWR contributes to the Army’s strength and readiness by providing first-choice support services and programs that reduce stress, build skills and self-confidence while fostering a strong esprit de corps. We are proof of the Army’s commitment to care for the people who serve and stand ready to defend the nation. 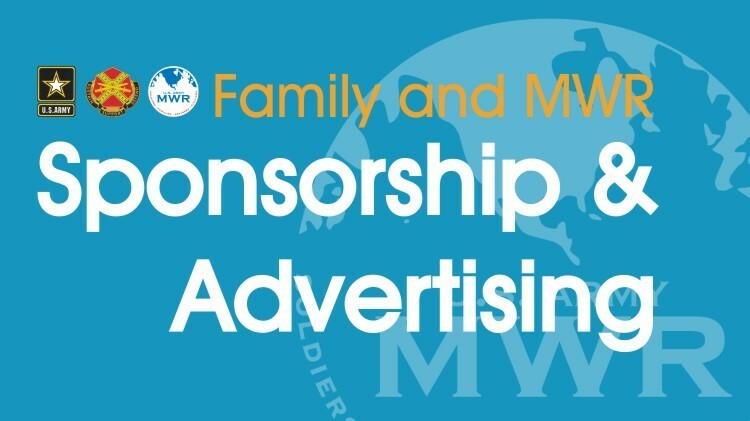 The Commercial Sponsorship and Advertising Program provides you the opportunity to stand with our troops by partnering with Family and MWR. Our partnership can be customized with numerous interactive and creative opportunities to reach your promotional goals and cross-market your business with Army community activities and lifestyles. Sponsorship is a great method to launch new products and establish brand preference among the military community. Through partnership we provide you direct access to the military market and brand exposure to maximize your investment. Sponsorship may be in the form of cash, products, services, or combination of all three. Sponsorship is NOT a charitable donation. The Commercial Advertising Program is the competitive edge to heighten your brand visibility at USAG Hawaii. Break through traditional advertising clutter to deliver your targeted marketing messages to the whole Army Community. Family and MWR touches the heart of the Army and we’re extending our “Aloha” to you. Through the Commercial Sponsorship & Advertising Program, we can assure you that 100% of your support will communicate your message and improve the Hawaiian experience for our Army Community. Together we will make experiences, memories.